George however; will be shuffling in Dieppe!! As many of you will know, George and Rose live in ON but choose to winter in Arizona!! George does participate in the CNSA National Tournament and had done well!! He and Rosemary Otmar placed 1st in 2012. However; for George, the most meaningful and most cherished achievement is being inducted into the Hall of Fame in Arizona and being the champion 2 years in a row for the highest points in 1 season AND being the “Champion of Champions” for 2 seasons. Well done George!! 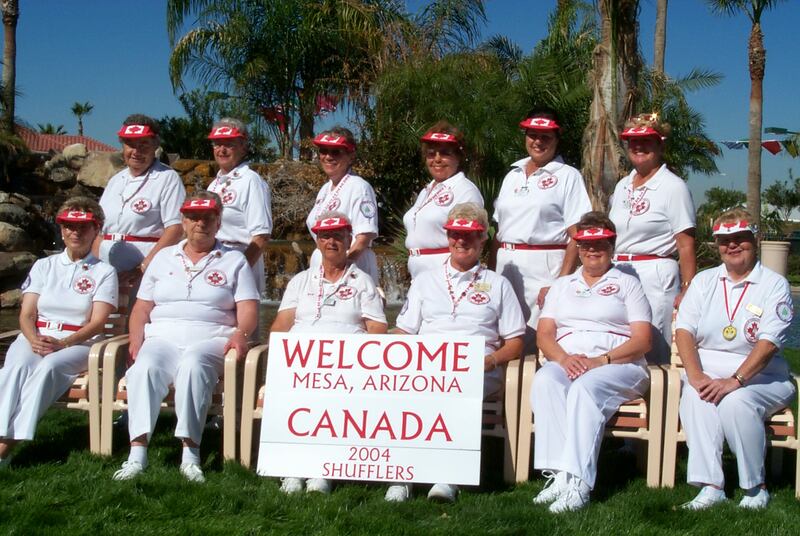 I have personal recollection of shuffling in the 2003 US National Tournament in Mesa, AZ which preceded the 23rd ISA event. I am now going to insert an historical (16 year old pic by yours truly) of George receiving the Big Cheque for placing first in the US National Event held at Greenfield Park in Mesa. From left to right we have: Bert McVay; George Admiral; not known; John Rosenkras; Jim Clayton and Joe Messier!! In summary, another fine couple to enjoy at Dieppe!! 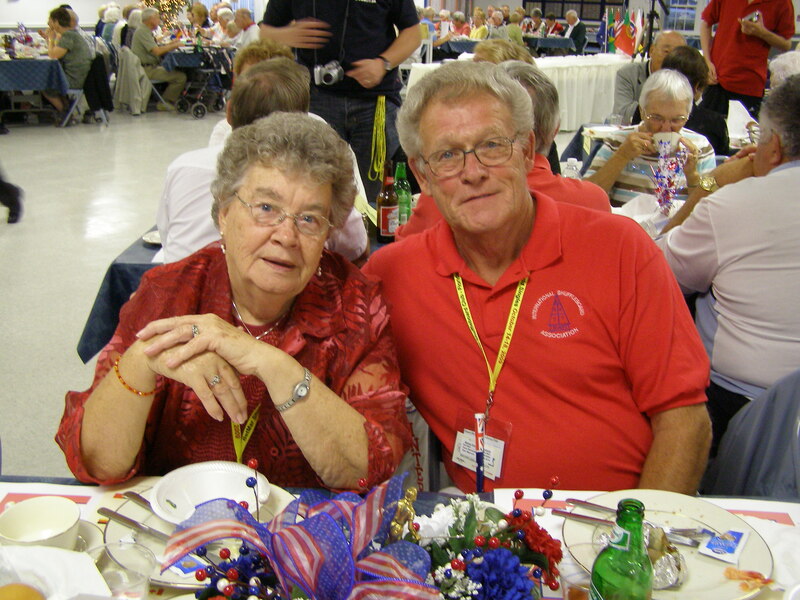 You will meet George on the courts/boards; be sure and meet Rose as she carefully observes from the stands!! Stan McCormack reposting this Admiral Article 2019 04 13. 1 Response to We Give You Rose and George Admiral: ON during the Summer; AZ during the Winter. A very fine couple whom we are blessed to know. 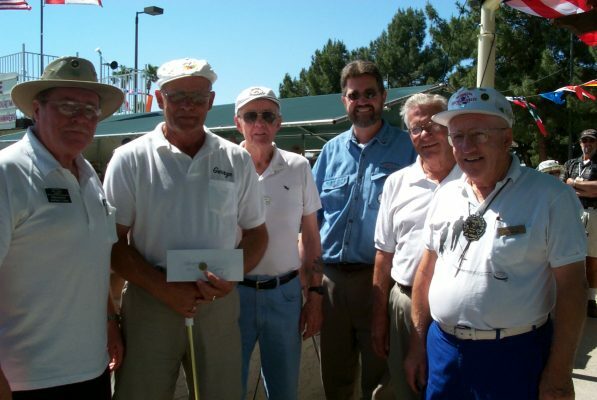 One of my great memories of shuffleboard was when Don Norris and George were playing against each other at the 23rd ISA event, Mesa. What a great game! George ended up beating Don by one or two points and they both had negative scores! !